Now is the time to start thinking about your knowledge and skill set when it comes to safety in avalanche terrain. Sign up now for an avalanche course! Hone your skills, practice, and stay safe out there! 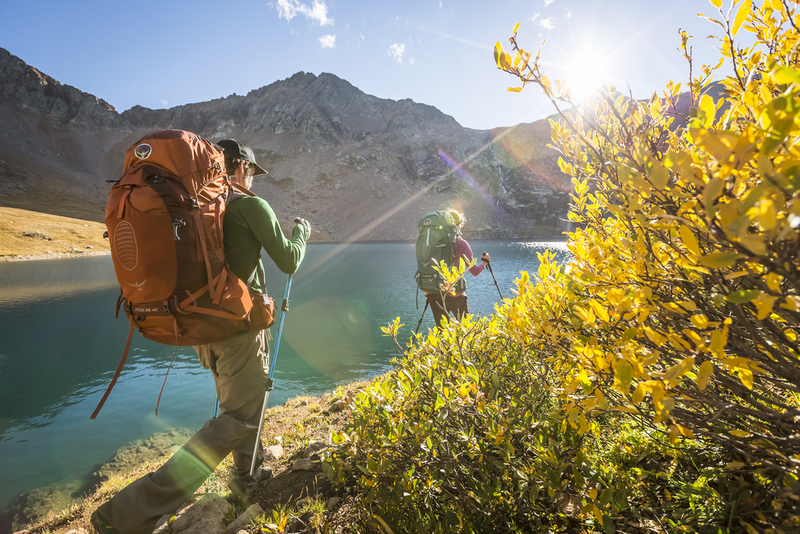 Gain the skills and knowledge that you need to be able to have fun and safe adventures in the mountains! Sign up for a course today! Due to overuse issues, permits will be required for Conundrum Hot Springs starting in the spring of 2018. 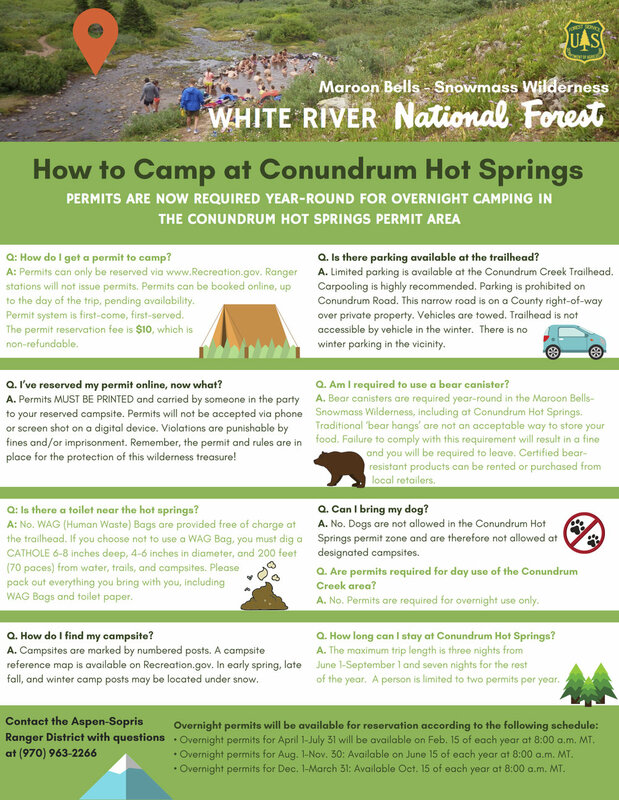 Reservations for Conundrum Hot Springs will become available for advanced reservations starting on April 18, 2018 at 8:00 a.m. MT. Please visit Recreation.gov to make your reservation and for more information.